The staff at G.J. Miller Construction take pride in attention to detail and establishing rapport with clients. 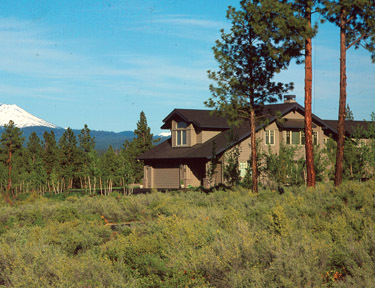 Included are a portfolio of successful projects throughout Central Oregon, with custom homes at Black Butte Ranch, Awbrey Butte, Pine Meadow Ranch, Broken Top, Cascade Meadow Ranch, Indian Ford Ranch, Fryrear Ranch and Sunrise Village. There is no standard package in a G.J. Miller home. All work is custom construction centered on expert quality workmanship. Glenn and his staff will spend time with you to incorporate your ideas and to ensure that specific building requirements and desires are met. Glenn J. Miller has follwed a family tradition of homebuilding and calls the building of custom homes in Central Oregon his "life's work". His other passion is community service. 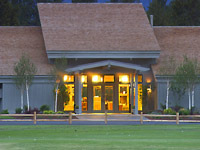 He has been very active in the commercial development and building of Sisters, Oregon. 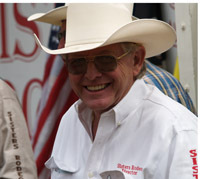 And, as President of the Sisters Rodeo Association for the past ten years, Glenn has assembled and guided a group of dedicated volunteers who have made the "Biggest Little Show In The World" the top rodeo on the Northwest Rodeo Circuit and one of the best in the West.